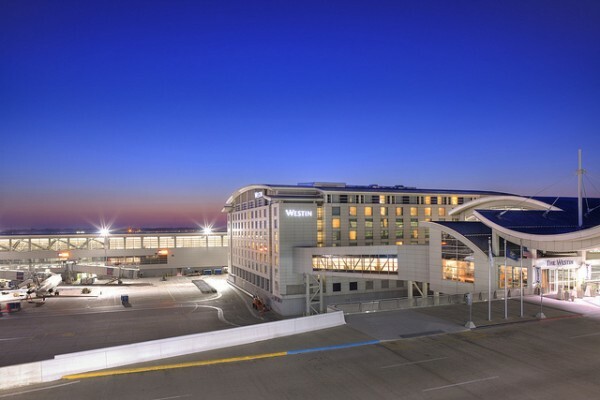 The Westin Detroit Metropolitan Airport hotel is conveniently attached to the Detroit Airport’s McNamara Terminal by a security entrance from the lobby. 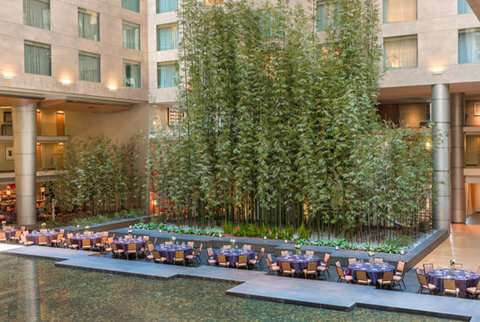 The hotel, selected as one of the top three North American airport hotels in the Skytrax World Airport Awards, features a unique Beyond the Screening Checkpoint Program that allows registered guests to access the McNamara Terminal for dining and shopping. The accommodations at the hotel include Traditional Rooms, Westin Executive Club Rooms, One Bedroom Suites and Parlor Rooms. The Traditional and Club Rooms sleep two and four people, respectively, and feature a view of the atrium or tarmac. The Club Rooms allow access to the Westin Executive Club Lounge with complimentary breakfast, appetizers and bottled water. The One Bedroom Suites sleep four people and are located in the corner of the hotel with panoramic views of the area. These rooms feature a separate living and sleeping area, marble bathroom with Jacuzzi tub and Bose DVD/CD player with surround sound. The Parlor Room sleeps four people and is ideal for those guests hosting small meetings or gatherings. 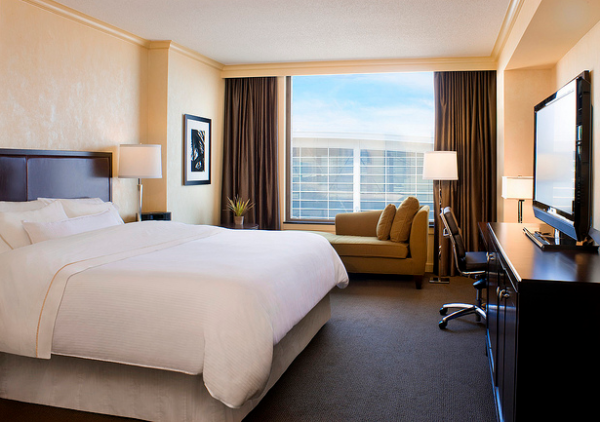 These rooms include a coffee table, lounge chairs and access to the Westin Executive Club Lounge. The Westin Detroit Metropolitan Airport hotel features an indoor pool, fitness center, spa services and a restaurant for guests to enjoy. 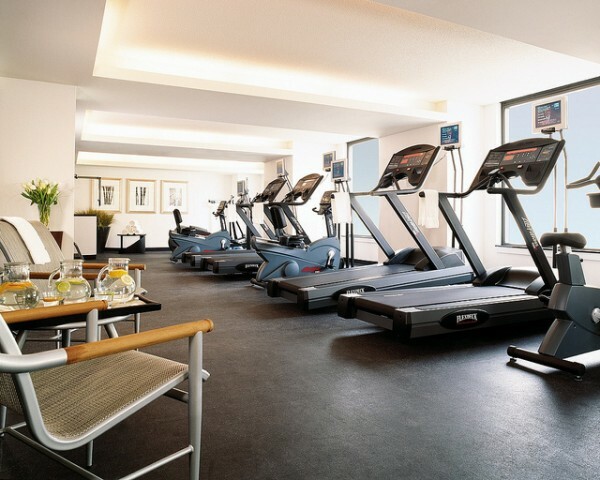 The WestinWORKOUT fitness center contains state of the art gym equipment to maintain personal wellness throughout a guest’s stay at the hotel. Spa services such as massages are available in the guest rooms and reservations can be made in advance. The DEMA airport restaurant is situated within a tropical indoor atrium and serves breakfast, lunch and dinner. The hotel is ideal for business travelers as it includes a 7,330 square foot grand ballroom and 34 meeting rooms for meetings and special events. The hotel offers business services such as video conferencing, high speed Internet access and audio and visual production services. In addition, a business center contains a variety of services including Internet access and fax/copy service. You can find out more about the Westin Detroit Airport Hotel, as well as make reservations, here.